Larger than all of the Pyramids of Giza put together, this mammoth concrete structure began as a dream in a small arid Central Washington farm town. In 1918, Billy Clapp, a lawyer in Ephrata, explained to Wenatchee Daily World editor Rufus Woods, that water from the mighty Columbia River could be dammed at the mouth of the Grand Coulee, pumped into the natural reservoir formed by the coulee, and then gravity-fed to the rich but dry farmland of Central Washington. Woods was convinced, and used his paper to promote this scientific marvel, which would turn the dusty towns of central and eastern Washington in to some of the most productive farmland in the world. This small-town dream sat idle, however, until the early 1930s when the Great Depression and the election of a new president moved it forward. 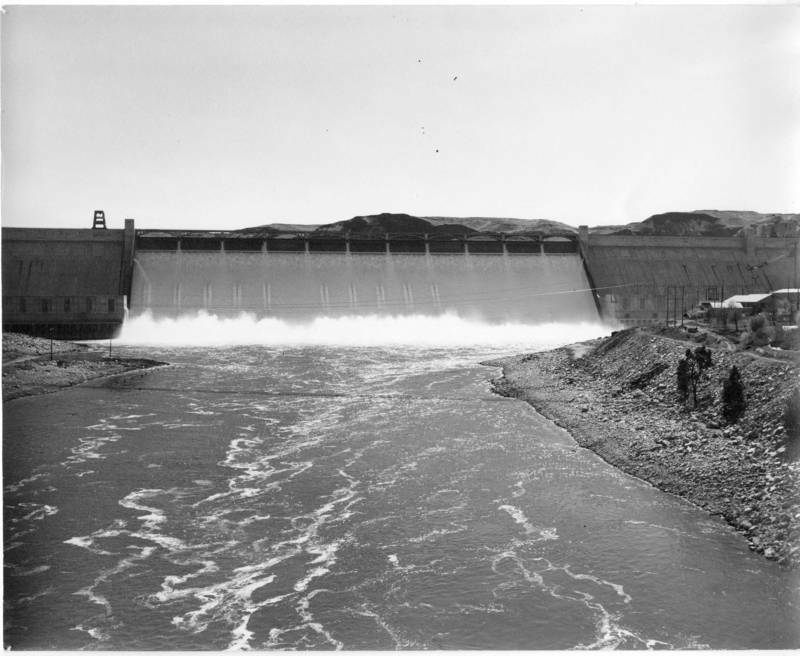 With encouragement from lobbyists, including Washington Senator Clarence Dill, Franklin Delano Roosevelt made the Grand Coulee Dam one of the cornerstone projects of the Public Works Administration. On July 16, 1933, construction began and lasted for eight years. The original plan was for a small dam to pump water into the irrigation system. As the United States became concerned about the war in Europe and Japanese expansion in the Pacific, the focus shifted from irrigation to the production of electricity for wartime industry and the dam doubled in size. Though this project promised jobs to a work hungry country, electricity to housewives, and enough water to turn a desert into the Garden of Eden, it was not without critics. There was opposition from private electric companies who had invested in projects in the Columbia Basin already. Moreover, Congress was resistant to allocate funds. Francis Culkin, a New York Congressman, wanted to know who was going to buy all of the electricity, since jackrabbits and rattlesnakes "are not amenable to, as you know, to the processes of an electric meter." As the project got underway, problems became apparent, including the displacement of towns in the flood zone and lack of infrastructure to support a project of this size. After the completion of the Third Powerhouse in 1975 the total cost of the project was $1,637,000,000. 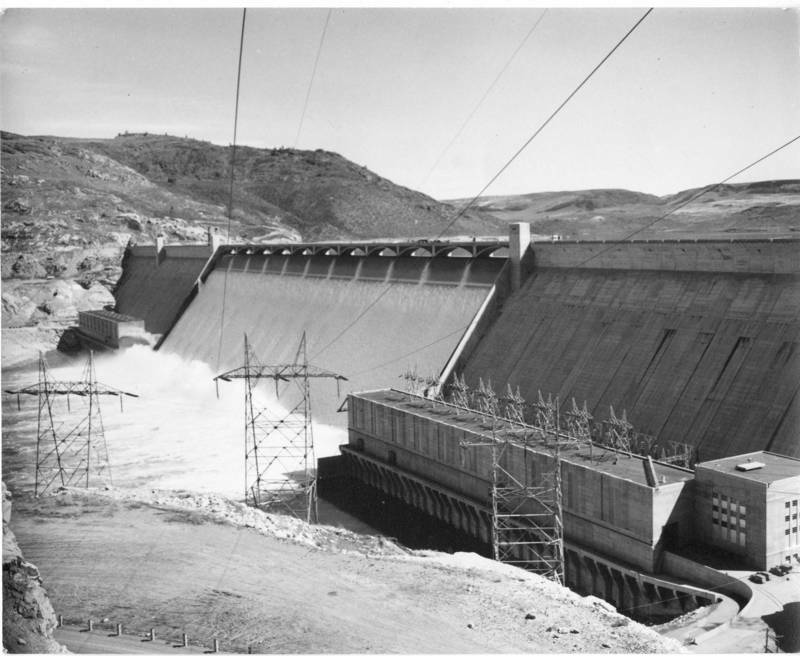 Grand Coulee Dam: The finished Grand Coulee Dam with the gates open, before the addition of the third powerhouse. Courtesy of The Northwest Room at the Spokane Public Library. Grand Coulee Dam Construction: East side of the dam where it meets the granite of the coulee walls. Courtesy of The Northwest Room at the Spokane Public Library. 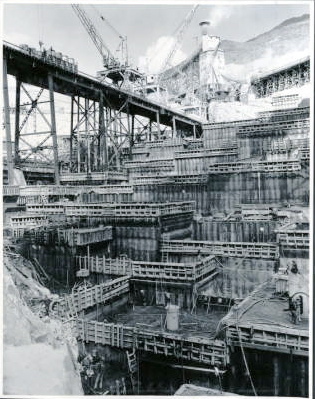 Grand Coulee Dam Construction: The west side of the dam foundation while the east side is unwatered for construction of the foundation. Courtesy of The Northwest Room at the Spokane Public Library. 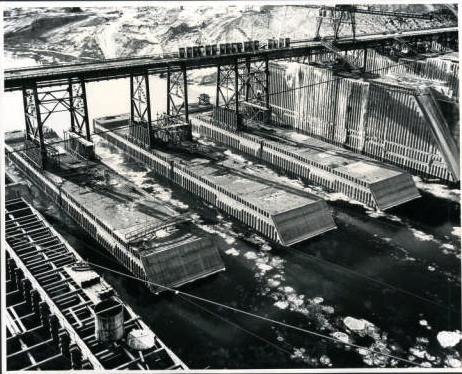 Erin Pulley, “Grand Coulee Dam,” Spokane Historical, accessed April 20, 2019, https://spokanehistorical.org/items/show/359. 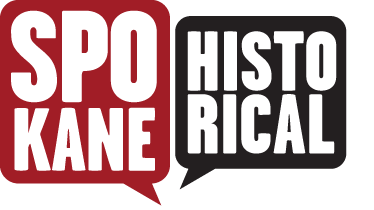 "Grand Coulee: Opposition to the Dam," Center for Columbia River History, accessed October 24, 2013, http://www.ccrh.org/comm/moses/opposition.html.